In 1895 Alfred Nobel, the inventor of dynamite sat at a desk in Paris and secretly wrote out his last will and testament. In that document, the man known to many as “the Merchant of Death” stipulated that his vast wealth be distributed in the form of yearly prizes to those who “have conferred the greatest benefit to mankind.” In the following years, the Nobel Prize would become the world’s most prestigious honor. Each December, thousands of the world’s elites arrive in Stockholm to dine on reindeer with the King of Sweden in celebration of the achievements of humankind. Yet, as the University of California San Diego’s Brian Keating explains in his new book “there’s something rotten in Sweden.” Voted one of Amazon’s Best Books of the Month, “Losing the Nobel Prize: A Story of Cosmology, Ambition, and the Perils of Science’s Highest Honor” (W. W. Norton & Company; April 24, 2018) is described as a shot across the bow from Keating and a plea to reform the award that has captivated generations, but often comes at a high price. Keating will be reading and discussing the book at several events in southern California, including a conversation at UC San Diego on April 25 at 5:30 p.m. in Atkinson Hall Auditorium, co-hosted by the Arthur C. Clarke Center for Human Imagination and the UC San Diego Library, a source for several of the historical photographs in the publication. A book signing and reception will follow the discussion. The event is free and open to the public on a first-come, first-served basis, though guests are asked to RSVP through the Clarke Center or Library websites. All books purchased at the event will receive a limited edition gold-plated bookmark, commemorating the book launch. Seating is not guaranteed. Keating’s book tells the story of how his work on the Background Imaging of Cosmic Extragalactic Polarization (BICEP) experiments became a pursuit of the Nobel, an endeavor that encouraged him to turn away from the collaborative spirit that should be the hallmark of scientific inquiry. It weaves together three narratives: the intimate tale of a young man in love with the night sky; the breathtaking birth story of the cosmos; and the history of a prize that would prove a glittering and unobtainable chimera for him, as it has for countless scientists over the past century. According to the publisher, the result is a page-turning tale of ambition and heartbreak, as well as commentary on an award that should represent humanity’s highest ideals. Despite its soaring goals, the Nobel Prize in physics suffers “from systemic biases,” according to Keating. For example, he claims the prize notoriously discourages communal effort among scientists. He also states that the Nobel Committee has awarded Nazis and war criminals, lauding “the therapeutic value of the lobotomy.” He notes that only two women have been awarded the prize in physics—including UC San Diego’s Maria Geoppert Mayer in 1963; Marie Curie was the first, in 1903. No woman has won the physics award in over half a century, overlooking the accomplishments of many, including Vera Rubin, who discovered dark matter, spent a portion of her career at UC San Diego and was the first woman granted access to the Palomar Observatory in San Diego County. 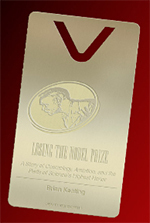 Despite these troubling missteps and oversights, Keating has hope for the Nobel, outlining “suggestions for reforming humanity’s superlative award” in his final chapter—which formed the basis for a new community portal to advocate for improvements to the Nobel Prize: www.losingthenobelprize.org. According to the publisher, the novel has already garnered praise from some bright stars in the scientific sphere including Stephon Alexander, professor of physics at Brown University and author of “The Jazz of Physics”; Royal astronomer Martin J. Rees, author of “Universe”; Pulitzer Prize-winning author and UC San Diego Emerita Professor Rae Armantrout; Sean Carroll, author of “The Big Picture”; Peter Diamandis, author of “Abundance and Bold”; Brian Greene, author of “The Elegant Universe”; and Sir Roger Penrose, Emeritus Rouse Ball Professor of Mathematics, University of Oxford, and author of “The Emperor’s New Mind.” The book is described as going beyond an investigation into the merits of the world’s most coveted award by exploring our unique virtues; as dreamers, as seekers and as scholars. UC San Diego prefers the path less traveled and Keating exemplifies this approach. Through his mentorship and outreach inside and outside of California, Keating helps to encourage and establish vibrant new interdisciplinary and intercultural understandings throughout society by educating, pursuing and disseminating knowledge, and by engaging in public service. The Arthur C. Clarke Center for Human Imagination integrates the arts, sciences, humanities, engineering and medicine to better understand, enhance and enact the human imagination. 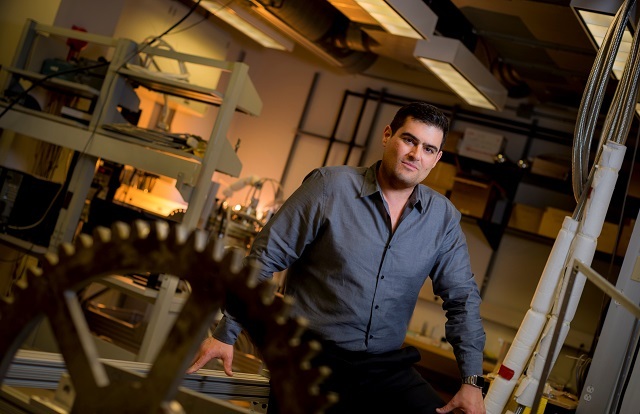 By studying the neurological, cognitive, and socio-cultural aspects of imagination itself, and through public programs that engage with speculative culture’s relationship to social, cultural and technological change, the Clarke Center explores the imagination’s ability, to paraphrase Sir Arthur C. Clarke, to venture a little way past the possible, into the impossible. The Clarke Center organizes the Clarion Science Fiction and Fantasy Writers Workshop, the premier proving and training ground for aspiring writers of speculative fiction. The center is part of the Division of Physical Sciences at UC San Diego.